The Montessori Philosophy was established over 100 years ago by Dr. Maria Montessori. Her method of education emphasizes and develops the potential of the child by utilizing special teaching materials, a prepared environment and teachers who have been specially trained. The Montessori Casa program is a three-year cycle. Materials and exercises in the first year or two not only facilitate the child to achieve a direct, immediate goal, but also serve as an indirect purpose of laying the foundation for future work and discovery. The prepared environment allows students to explore freely on their own initiative and meet their individual needs through spontaneous activity. Through self-directed activities in the areas of Practical Life, Sensorial, Language, Mathematics, and Cultural Studies the child develops coordination, concentration, good work habits and self-discipline. In addition to our program, we offer French lessons, music, creative movement, an outdoor playtime, arts and crafts. Hillside Montessori School is a CCMA accredited Montessori school. The real preparation for education is the study of one’s self. The training of the teacher is something far more than the learning of ideas. It includes the training of character; it is a preparation of the spirit. Students are encouraged to learn through hands on experience and investigation. A low teacher to student ratio ensures your child will receive individualized attention and teaching. 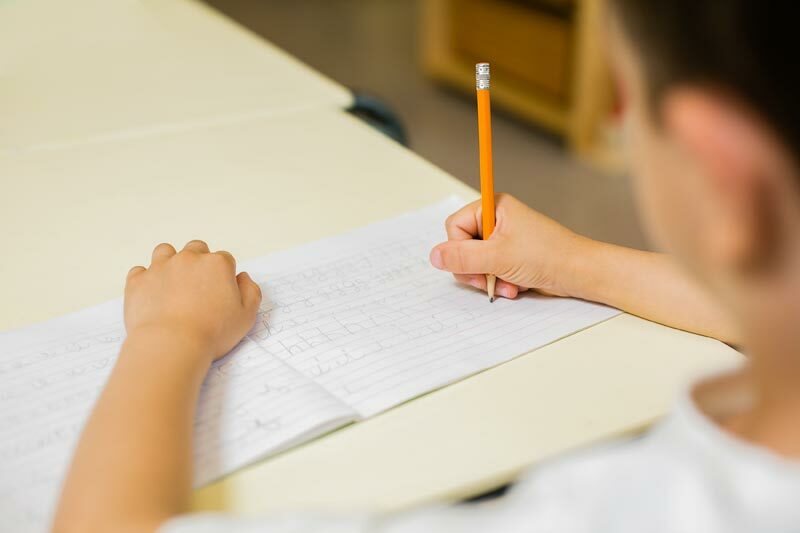 Utilizing the teaching methods of Dr. Maria Montessori, your child will become a creative problem solver while developing their self-esteem and confidence. The Casa classroom is made up of children of mixed ages, three, four and five year olds all share the same environment. In this multi-age setting, the children learn from each other and they learn because of each other. Younger children get a chance to look ahead and see what is coming next by watching the older children. Older children have the opportunity to reinforce their knowledge by sharing it with the younger children. In addition to being a child-centered community, the Montessori classroom is also a prepared surrounding. The environment is designed to facilitate maximum independent learning and exploration by the child. Our classrooms are bright and spacious and each room is divided into five distinct areas: practical life, sensorial, mathematics, language and cultural studies. Within these areas the child develops coordination, concentration, good work habits and self confidence. 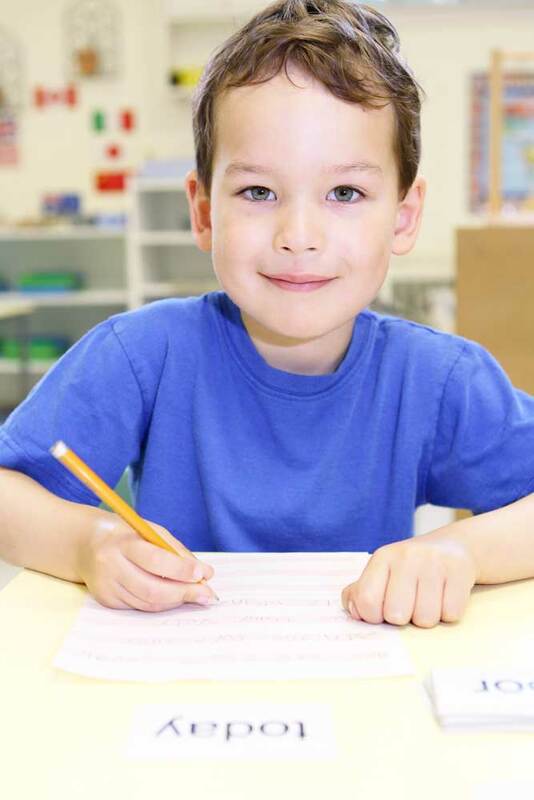 Give your child the head start on education they deserve at Hillside Montessori school. Early registration is recommended to ensure enrollment. Our School Year runs from September to June. This program is designed for students 3-6 (toilet trained). New students are accepted into the program before their 4th birthday. Children may start in our half day program at the age of 2½ and toilet trained. Parents are obligated to give 2 months written notice if their child is to be withdrawn from the program. *A non-refundable registration fee of $200.00 is required. Fees are payable by cheque only. Post dated cheques (payable to Hillside Montessori School) must be received at the time of enrollment and dated for the first day of each month. Our schools goal is to provide a program that fosters within the child a positive attitude toward learning, a respect toward self, respect towards others and an understanding of one’s responsibility to the world around them. All our teachers hold an age-appropriate diploma from an accredited Montessori training institute. Each class has one Montessori teacher along with a Montessori assistant. Classroom ratios are 1 teacher to 8 children. We seek to inspire a passion to nurture curiosity and imagination. Through a well prepared environment and caring teachers, the children are able to be creative problem solvers, while developing their self-esteem and self confidence. Dr. Maria Montessori was, in many ways, ahead of her time. Born in 1870 in Ancona Italy, she became the first female physician in Italy upon graduating from medical school in 1896. In her medical practice, the clinical observation led her to analyze how children learn, how they build themselves from what they find in their immediate environment. In 1896, she accepted the challenge to work with a group of sixty children of working parents in the San Lorenzo district of Rome. It was there that she founded the first Casa dei Bambini, or “Children’s House.” What ultimately became the Montessori Method of education developed there, based upon Montessori’s scientific observations of these children’s almost effortless ability to absorb knowledge from their surroundings. Every piece of equipment, every exercise, every method Montessori developed was based on what she observed children to do “naturally”, by themselves, unassisted by adults. Hillside Montessori takes the issue of privacy seriously. When you provide information to us, we hold your personal information in the highest regard. Generally, Hillside Montessori only tracks where users are going on our Web site so we can better serve the information most sought after. When we do this, no personal information is gained about an individual user. Rather, all user information is compiled and analyzed as group data. This group data is for internal use and for sharing with affiliates, subsidiaries, licensees and successors. Certain sections of Hillside Montessori’s Web site require personal identifying information so we can fulfill your request. All information given to Hillside Montessori is used only for its stated intended purpose and for general tracking. Unless otherwise stated, we will not use this information to distribute Hillside Montessori information to you in any way. We also will not sell your information to third parties. Hillside Montessori reserves the right to cooperate with local, provincial and national officials in any investigation requiring either personal information, including any personal information provided online through Hillside Montessori’s Web site, or other reports about lawful or unlawful user activities on this site. Hillside Montessori’s goal is to provide you with the most relevant information regarding teaching under the Montessori philosophy in every medium possible. If you have any questions about Hillside Montessori and your privacy, please feel free to contact us using our contact form. Hillside Montessori reserves the right to change this privacy statement at any time without prior notice. We would love to meet or speak with you in person. Please fill in the form or send us an email so that we can set up a time to discuss the enrollment of your child. We are situated in a beautiful church surrounded by green space. Conveniently located Just North of Rathburn and East of Islington in the Humber Valley United Church.